Omega-3 supplement quality is essential when considering what product you should buy. If an omega-3 supplement is poor quality, it can actually cause inflammation and expose your body to harmful heavy metals and toxins. This article will show you how to select a quality omega-3 supplement along with product recommendations. If you are not familiar with the wide range of health benefits associated with omega 3s read my article on the Top 7 Health Benefits of Omega 3s. Note: if your here for the WHC unocardio r’triglyceride omega-3 supplement you can click here to buy the product. Or you can scroll to the bottom of this article for the product review. When I first began my search for a quality omega-3 supplement, I had no idea about the wide range of quality that exists in the market. There is a massive variety of brands, dosages, variations (some with vitamins and others without), and sources. Luckily for you, I have done all the research for you, to make things easier. Here you will find the core information you need to select quality omega-3 supplements. I will also be suggesting top quality brands to make things even easier for you to find what supplement would work best for you. If you haven’t already read my article on omega-3 fatty acids, it may be wise to do so before continuing with this article. 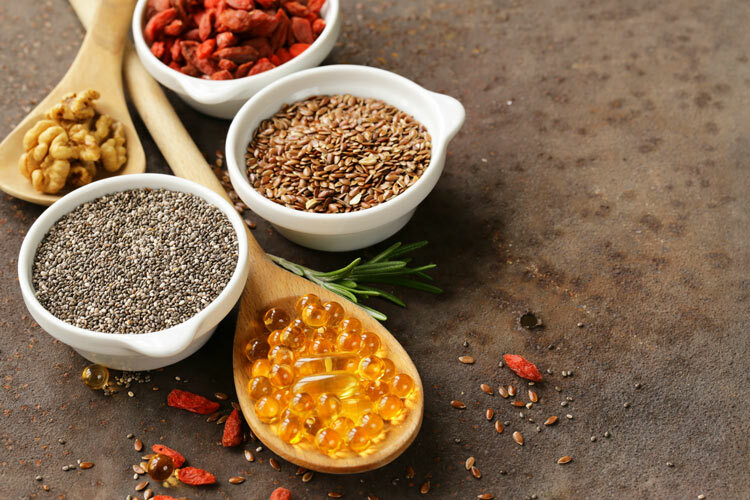 If you already have a solid background on omega-3 fatty acids or just want straight to the point supplement suggestions, then feel free to keep reading (or skip to the recommendations towards the bottom of the page). 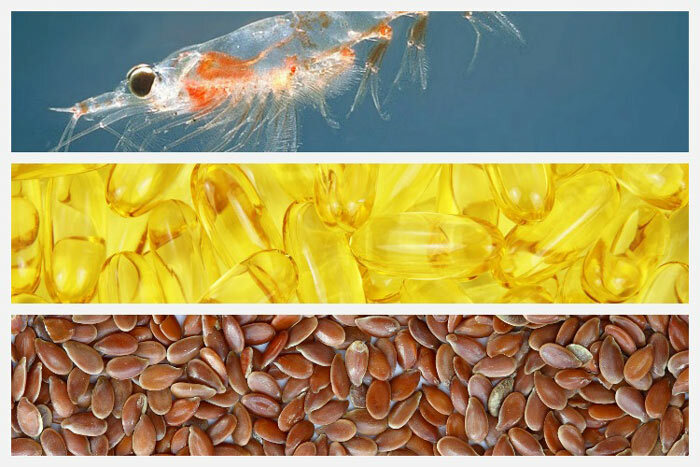 There are a wide variety of omega-3 supplements on the market: fish oil, flax seed oil, krill oil, cod liver oil, etc. So how do you pick which type to use? First, it is important to realize that any plant based omega-3 supplements (with the exception of algae supplements) are typically not recommended because they only contain ALA and your body does not efficiently convert ALA into DHA and EPA (the polyunsaturated fatty acids that gives you the health benefits). Since the conversion is so inefficient, it is best to get supplements that already have DHA and EPA in them. Supplements that have DHA include fish oil, krill oil, and cod liver oil. I do not suggest cod liver oil because there is controversy over its toxicity (due to a high ratio of vitamin A compared to how much vitamin D is present) . Krill oil and fish oil, however, are great contestants for healthy omega-3 supplementation. Typically krill oil is used by those who do not prefer to consume fish products and due to the rumored additional health benefits and vitamins (i.e. vitamins A & E). On average, Americans consume between 14-25 times more omega-6 fatty acids compared to omega-3 fatty acids . A healthy diet must consist of a balance of omega-3s and omega-6s. In fact, when the balance is off and a person has too much omega-6 fatty acids in their diet, it actually increases inflammation. With that said, omega-3 supplements that also have omega-6 and omega-9 are NOT recommended. Since most people get too much omega-6 fatty acids in their diet already, a supplement with more omega-6s would probably be more harmful than helpful to most people with a standard American diet. It is best to steer clear of these supplements (they typically cost more too). 1. Purity: It is essential to verify whether an omega-3 supplement meets the international standards (or better) for heavy metals, PCBs ( a known carcinogen), dioxins and other potential contaminants. See if the brand has a Certificate of Analysis (COA) which is an official analysis of their purity that is performed by an independent lab. If they do not have this, be suspicious of their product. Since krill are towards the bottom of the food chain, heavy metals and other contaminants are much less of a concern–krill are unlikely to build up significant amounts of heavy metal contaminants. 2. Freshness & Proper Storage: Omega-3 fatty acids are vulnerable to oxidation, which can cause them to become rancid. When fish oil or krill oil becomes rancid, they cause inflammation rather than reducing it! If you are really motivated, check the peroxide value in the brand’s COA–this should be less than 5 meq/kg–these products should have no fish odor if you break open a capsule right after purchasing. 3. Sustainability: Please be sure to only support brands that harvest their products in an environmentally friendly manner, so you are supporting a businesses that considers the earth, our only home. 4. Cost: Some omega-3 supplements are very cheap, but they may be poor quality and rancid with flavor cover-ups. It is better to spend a little more money and get the real effects you are looking for. 5. Flavorings: Be careful when purchasing omega-3 supplements that contain flavorings such as lemon or generic natural flavorings. This can be done to cover up a rancid supplement. While it is not always the case, it is certainly a factor to consider. Flavorings can be found listed in the supplement ingredients. How Much Omega 3s Do I Need? As mentioned in my previous article, the RDA (recommended dietary allowance) of omega-3 fatty acids is 500 mg/day or 3,500 mg/week for health maintenance. When you dose for therapeutic effects, such as the treatment of a chronic inflammatory condition (heart disease, arthritis, etc. ), then the recommendations are significantly higher. Therapeutic dosages should, of course, always be determined by a healthcare practitioner. Be sure to verify the amount of DHA in your supplement. There should be at least 200-300 mg of DHA in each capsule/serving if you wish to receive beneficial effects from the fish oil. Most omega-3 supplement dosages run around 500-1000mg, so stay within that range depending on the effects you are looking for. Remember to never over-do anything, health is all about balance. There are three primary forms of fish oils that manufacturers offer (krill oil is slightly different and will be briefly explained after this). Natural triglyceride oil: This is acquired from pressing or squeezing the whole fish to extract the natural fish oil. Synthetic triglyceride oil: The natural triglycerides are converted into ethyl esters oil then restructured into synthetic triglycerides. This method is the most unnatural. It is important to consider the variables that influence the absorption of omega-3 fatty acids so that you can get the most out of a supplement. DHA as natural triglycerides were absorbed between 3.4 and 2.7 times better compared to ethyl ester triglycerides . The take home message, is that the naturally derived fish oils are absorbed much better compared to ethyl esters. It’s also suggested that you take your omega-3 supplements with a high-fat meal because the absorption can be increase by up to 90%. . It may be helpful to take your omega-3 supplement during your largest meal of the day. One of the many great characteristics of krill oil lies in its biomolecular profile. The EPA and DHA are already incorporated into phosolipids which makes for better absorption through the intesinal wall. Aside from this information, few studies have been conducted on krill oil. There is not enough research to fully determine its absorption qualities and efficacy. With all this presented information (and more extensive research) I have discovered high quality products that meet most of the criteria mentioned. Feel free to check for yourself or trust my research. Nevertheless, here are the highest rated supplements. Note: there is no flawless product on the market. All of these products are recommended based on existing purity data and their adherence based on the criteria found in this article. I am not affiliated with any of these products (only amazon). Advantages: High quality product. Tested by independent laboratories for purity. High amount of DHA per serving (400mg). Environmentally friendly processing. (R)’Triglyceride form for optimal absorption (better than ethyl esters). Low heat processing to retain natural components. Disadvantages: Higher cost. Contains ‘natural flavors,’ which could make it hard to detect if the product is rancid. Advantages: Cheaper product. Meets and/or exceeds the FDA safety standards. Molecularly distilled to remove impurities and contaminants. Naturally contains vitamin A and D. Doesn’t contain any flavorings to cover up a rancid product. Disadvantages: Significantly lower amount of DHA compared to UnoCardio with 250mg per serving. Varying purity data (one lab reported low purity but their intent is suspect). Advantages: Little concern for contamination and heavy metals. Contains vitamins A and E in addition to a strong antioxidant called astaxanthin. Easier to swallow pills. Disadvantages: Few studies have been conducted on Krill oil. The mount of EPA (90mg) and DHA (150mg) per serving is lower compared to most fish oils (but remember it has a better absorption). Controversy around the sustainability of harvesting krill oil. If you have liver disease, do not take omega-3 supplements without consulting your doctor. It definitely helps to be aware of product quality as a consumer. Nobody wants to buy a product and find out it is actually harmful to their health (especially after taking it for a long period of time). I hope this article was helpful so you can confidently make an educated decision about which omega-3 supplement is right for you. You note that the fish oil supplements should be refrigerated – this is true. But you also point people to Amazon.com to purchase them (yes you get a payment for buyers who do). But we all know Amazon has no refrigeration facilities for these items, and until recently, no air conditioning even in super hot climates like warehouses in Las Vegas, Nevada. Not sure which facilities have AC, but the temps in some warehouses owned by them have gotten up to over 120F. That’s actually a really solid point I haven’t considered since I live in a colder climate. Fish oil is ok if it’s not refrigerated before opening but if it’s in extreme temperatures, it’s likely really bad for the product. This one of the reasons why I always take a needle and poke a hole in the first pill of every batch I get. I then taste it. If it tastes really fishy, it’s rancid. Either way, I will have to consult the companies and Amazon about this issue. Thanks for bringing it up!